Tommy Hilfiger straight jeans for men featuring a straight fit and five pocket styling. These straight fit jeans for men are tailored straight from waist to thigh fall straight from knee to hem. Men's straight fit jeans with mid-rise waist. Button closure with fly zip. Flag logo at coin pocket. Inseam: 30/32/34/36; leg opening: 15.25; front rise: 9.5; back rise: 14.75. Create a classic look with these tommy Hilfiger men's jeans. These tommy Hilfiger jeans for men by tommy Hilfiger denim men will keep you feeling comfortable. Tommy Hilfiger jeans for men featuring an athletic straight fit that tapers at the hem and five pocket styling. These tapered jeans are roomier at the thigh and get narrower at the hem for an athletic fit. 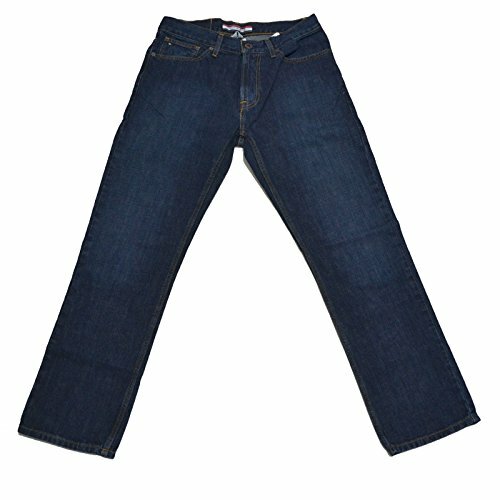 Men's straight tapered jeans with mid-rise waist. Button closure with fly zip. Flag logo at coin pocket. Inseam: 30/32/34/36; leg opening: 14; front rise: 10.25; back rise: 15. Create a classic look with these tommy Hilfiger men's jeans. These stretch jeans for men will keep you feeling comfortable. By tommy jeans men. Tommy Hilfiger jeans for men featuring a slim fit and five pocket styling. These slim fit jeans for men are tailored slim from waist to thigh and get narrower at the hem. Men's slim fit jeans with mid-rise waist. Button closure with fly zip. Flag logo at coin pocket. Inseam: 30/32/34/36; leg opening: 14.25; front rise: 9.5; back rise: 14.25. Create a slim, tailored look with these tommy Hilfiger men's jeans. These stretch jeans for men by tommy jeans men will keep you feeling comfortable. Tommy Hilfiger is the pinnacle of style and design. 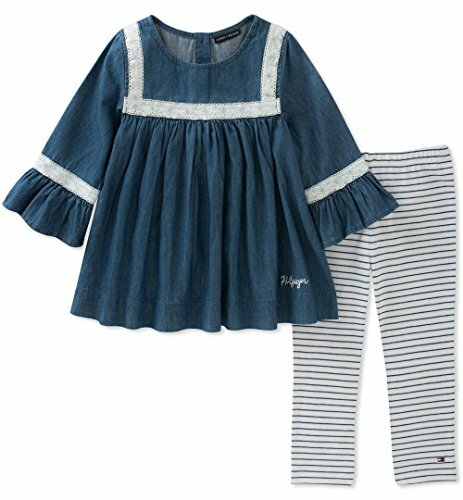 Stay fashionable with Tommy Hilfiger. Our slim stretch chino is crafted from cotton stretch twill. Tommy Hilfiger jeans for women featuring a skinny fit and five pocket styling. Cut to fit the contours of your body from waist to ankle, our mid rise skinny jeans for women make for a sleek and stylish silhouette. Women's skinny jeans with high rise waist. Stretch jeans fabric. Button closure with fly zip. Flag logo at coin pocket. Inseam: 30/32/34; leg opening: 9.6; front rise: 9.25; back rise: 13.8. Our soft, stretch tommy Hilfiger women's jeans provide all day comfort. These mid rise jeans for women create the ultimate look in contemporary chic. By tommy jeans women. Tommy Hilfiger jeans for men featuring a skinny fit and five pocket styling. These skinny jeans for men create an ultra-fitted look from waist to ankle. Men's skinny jeans with mid-rise waist. Button closure with fly zip. Flag logo at coin pocket. Inseam: 30/32/34/36; leg opening: 12.4; front rise: 9.8; back rise: 13. Create a trendy look with these tommy Hilfiger men's jeans. These skinny stretch jeans for men will keep you feeling comfortable and looking cool. By tommy jeans men. Looking for more Tommy Hilfiger Jeans Pants similar ideas? Try to explore these searches: 95 Devonshire Pedestal, Carlisle Glasteel Ultramarine Tray, and Pinch Pleat Hooks. Look at latest related video about Tommy Hilfiger Jeans Pants. Vintage Tommy Hilfiger Jeans. Selling on ebay. Shopwizion.com is the smartest way for online shopping: compare prices of leading online shops for best deals around the web. Don't miss TOP Tommy Hilfiger Jeans Pants deals, updated daily.